For many people a true camping holiday is best experienced under canvas and at Canvas Holidays we offer high-quality tent accommodation. 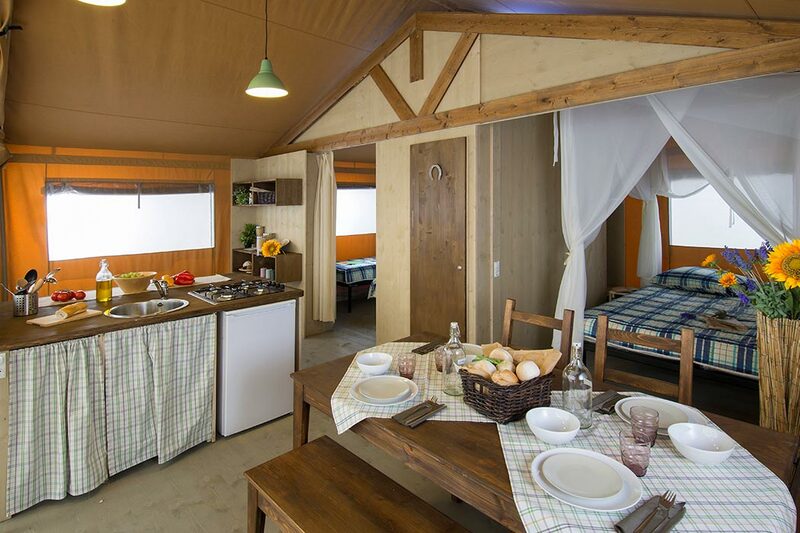 You’ll find comfortable beds, kitchen facilities and electric lighting in our tents. Our Safari Tent even comes with its own fully plumbed shower room including toilet, proving that camping doesn’t mean giving up on comfort. 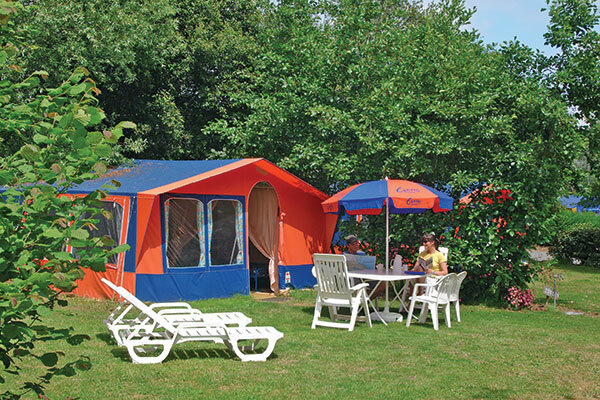 All our tents are spacious and provide two or three bedrooms – perfect for a family camping holiday. 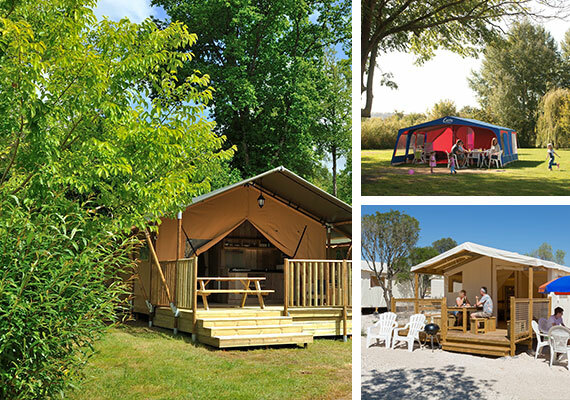 Our Maxi tents are perfect for those looking for a traditional camping experience! 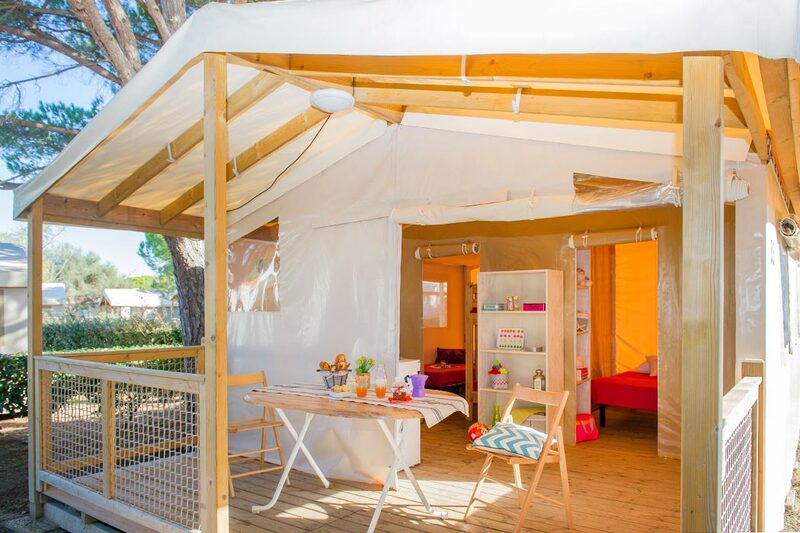 Thanks to their unique design the Maxi tent can comfortably sleep 6 people in 2 or 3 bedrooms (the second bedroom can be divided to make 3 rooms) and the separate kitchen area comes equipped with a 4 ring cooker and grill, plus fridge-freezer. All in all, this really is 21st century style camping accommodation! The Lodge tent offers a balance between traditional and modern camping. 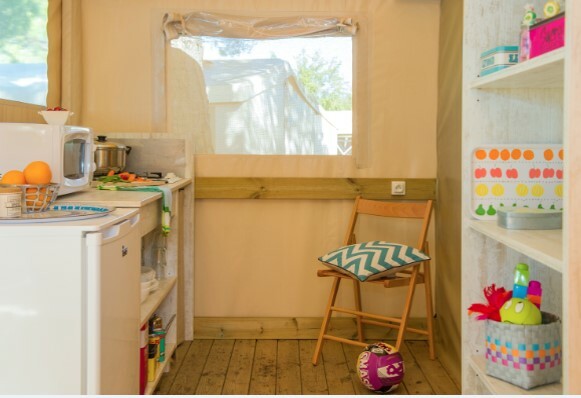 With a fitted kitchenette, handy storage space and wooden floor you can experience the adventure of camping with a little added comfort. The wooden terrace even comes equipped with garden furniture so you and your family can truly enjoy the great outdoors. The Lodge Comfort tent is a wonderful mix of tent and mobile home for those who are looking for the outdoor experience but prefer the comfort of a solid structure. With a high covered terrace, equipped kitchen and lounge area, the Lodge Comfort tent offers the comfort of a mobile home but with the authentic camping feeling you can only get by sleeping under canvas! Our luxury Safari tents have a charming interior and a warm, welcome atmosphere. They are very spacious with an open-plan living and dining area and 2 bedrooms. 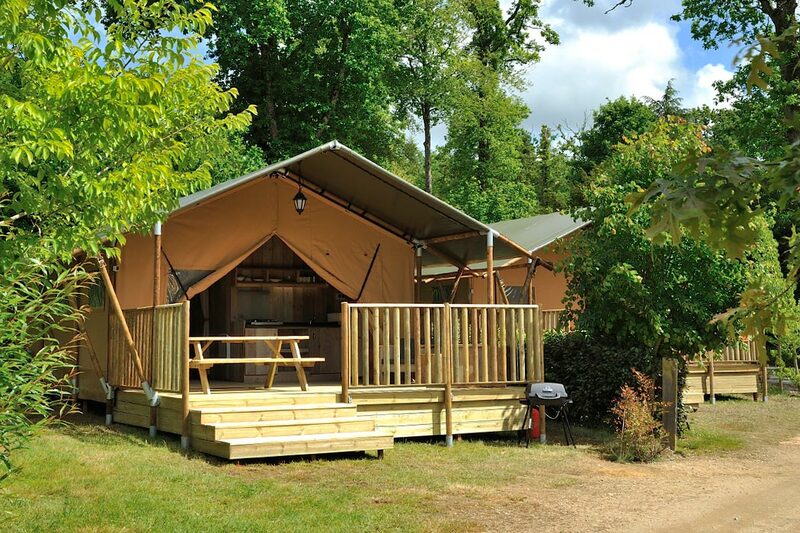 Ideal for families of up to five people, the Safari tent comes complete with a wooden floor, kitchen area, shower and toilet facilities so you can enjoy camping with all the comforts of home. The Safari Tent Lux offers all the same great features of the Safari tent but with even more comfort! With the added benefit of a dishwasher and king size bed, you can enjoy the great outdoors in style.